If you’re a Samsung mobile device user and haven’t heard about GALAXY Life App, this is definitely a post you’d want to pay attention to. Undoubtedly many of you has already heard about the different hardware and software features the latest Samsung gadgets carry (such as the thumbprint scanner & heartbeat sensor on Galaxy S5 that I’m using since late last year), but did you know that there’s a host of other privileges that comes with owning a Samsung device? Enter the GALAXY Life App. The video above showcase a snippet of what the users of GALAXY Life App got to enjoy throughout the year of 2014, check it out. 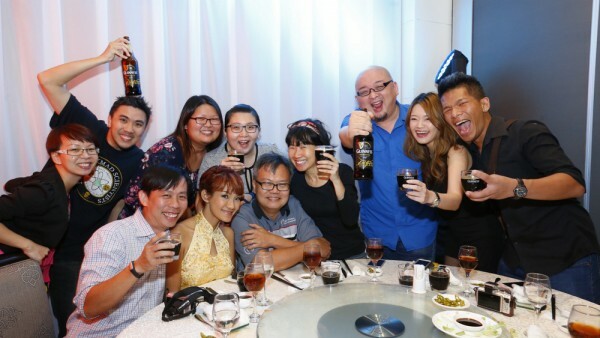 First launched on the 28th Feb, 2014, the application has amassed over 2.1 million GALAXY members in Malaysia thus far. I am happy to be one of them, though I only started last December. This application basically bring you different rewards, privileges, deals, freebies, and promotions every week/months based on where you are. For example, if you’re at KL and there’s a Baskin Robbins promotion going on, it’ll show you how far you are currently from one of the outlets. Get there, flash the app to the staff, and got yourself a free scoop of ice cream (I did several weeks ago, happy). 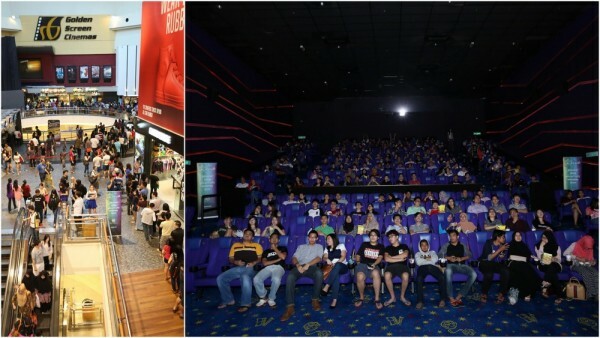 GALAXY members were treated to some of the biggest hollywood blockbusters over the period of one week in June, there were Man of Steel, Pacific Rim (I hope there’s a sequel), Fast and Furious 6, and even classics such as Sound of Music. It had the ambiance of being in a summer fair, and complete with foods from 7-Eleven, Burger Bakar Kaw Kaw, Coffea Coffee, Crazy Potato, Gong Cha, Pizza Hut and SUB18 Gelato as well. I’m pretty bummed I never got to this event, but it sure looked like one of the most awesome festivals that’s packed with fun. I mean, there were free hot air balloon ride, flying fox, and low rope! Those are my kind of thrills, now where do I get a hot air balloon ride in Malaysia? Other than the activities, there were also concerts by Richard Clayderman & Sheila Majid. 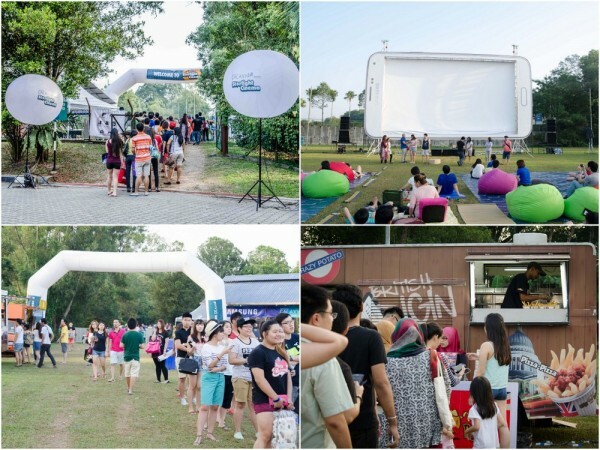 The event was actually a prelude to the 57th Merdeka and jointly presented by Universal Music Malaysia, Samsung GALAXY Life and Mojo Live in collaboration with the Ministry of Tourism, Culture, and Arts. One of the movie screenings I went to last year curtesy of being a GALAXY member was Hunger Games: The Mocking Jay. I thought the first part of the 3rd movie in the trilogy left something to be looking forward to, and hopefully Samsung is going to treat us again for another screening to complete the Hunger Games saga later this year. 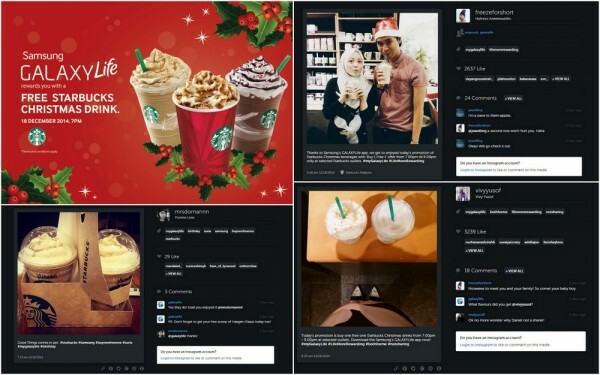 Another deal that had overwhelming response amongst GALAXY members was FREE one grande Christmas Beverage on 18 Dec from 7pm to 9pm at Starbucks. It was only 2 hours but you can imagine the number of drinks that went through the various Starbucks counters that evening. Well, don’t miss out, head to Google Play Store to download the application for free. Find out more at www.samsung.com/my/galaxylife. By the way, Easy Taxi is teaming up with Samsung GALAXY Life and they’re giving out 3 free taxi rides worth up to RM 20 per ride, valid until 31st January 2015. 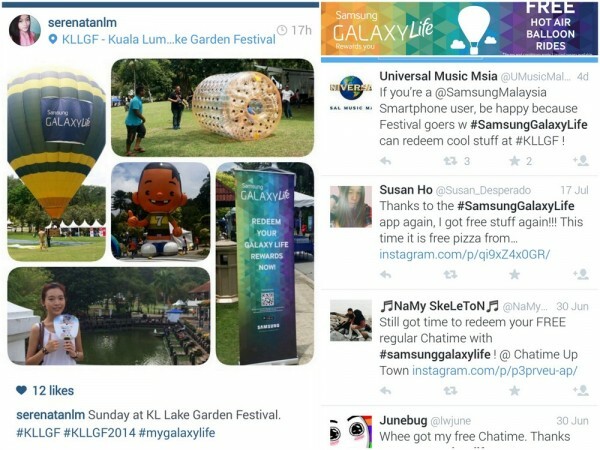 For more information about Samsung GALAXY Life, please visit http://www.samsung.com/my/galaxylife, Samsung Mobile Malaysia Facebook page at http://www.facebook.com/samsungmobilemalaysia or follow hashtag, #mygalaxylife. *Brought to you by Samsung Malaysia Electronics. 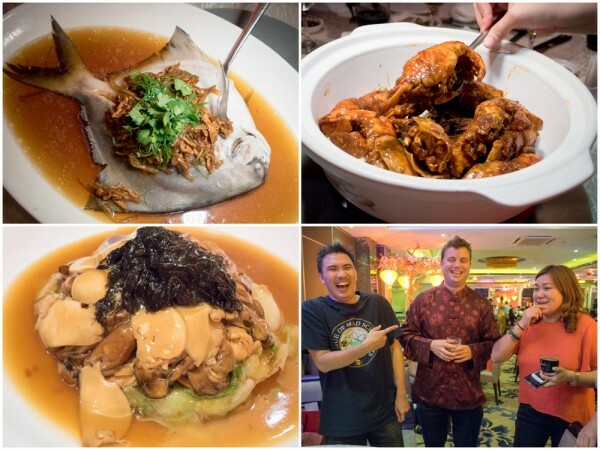 It’s that time of the year again, CNY dinner previews is in vogue, so a few days ago I stopped by Ti Chen Chinese Restaurant at Saujana Golf & Country Club to sample what they have to offer for the year of Goat. 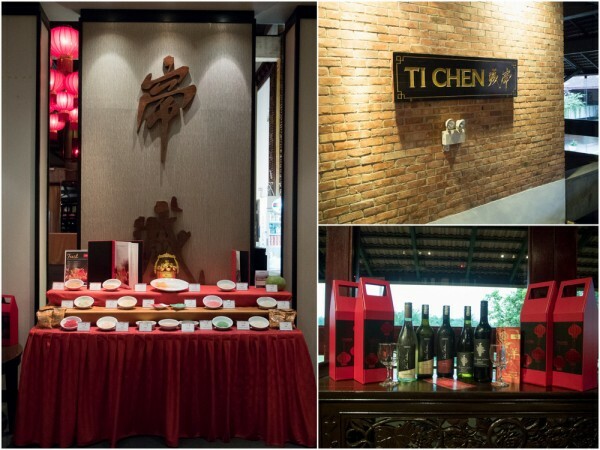 Ti Chen is actually under the same management as Saujana KL, situated just a stone’s throw away from the hotel. Parking is quite a hassle free experience, and the restaurant has a nice overview of the lush green lawn and gentle slopes of the golf course, which exudes a very nice ambiance that promotes tranquility out of the hustle and bustle of the city life. For 2015, Ti Chen offers three different set menus priced from RM 1168++, RM 1468++, and RM 1968++ to choose from. You can also add 200++ to each of those menu to add alcoholic beverages to the package (some pretty good House label wine selections). 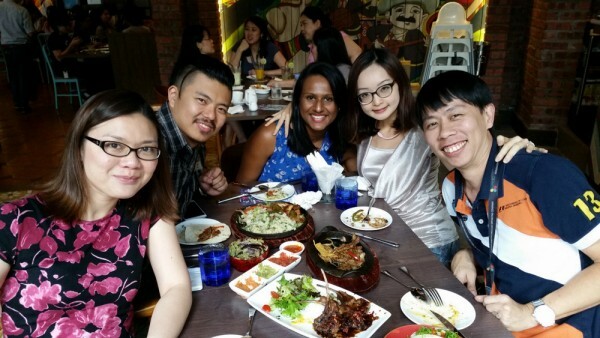 For the purpose of this media review, we sampled 9 dishes hand picked from the 3 menus. We started the night with Sea Bird’s Nest Yee Sang with Cheery Sauce (and added some smoked salmon for good measure too). 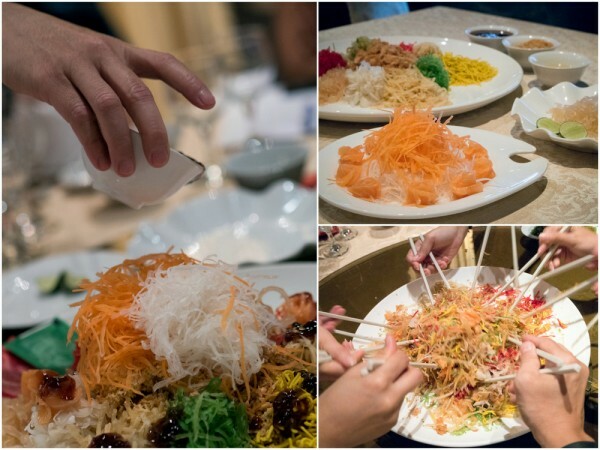 The Yee Sang here is closer to the traditional type with crispy crackers and colorful ingredients, with the chef’s special cherry sauce separating it from other run-off-the-mill yee sang. 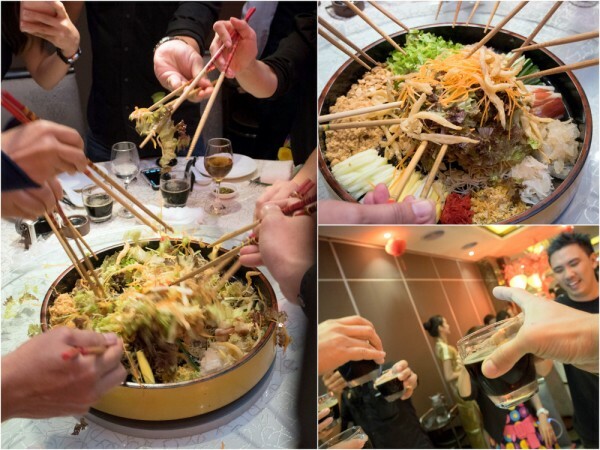 It is a little more fruity and interesting, though I still find myself preferring the more modern type of yee sang with fresh fruits and vegetables that is fast gaining popularity. 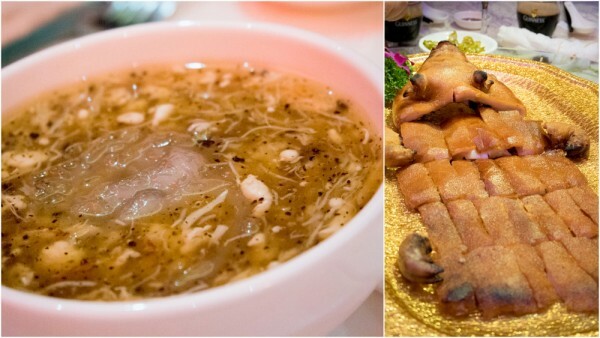 Like all decent Chinese set menu, the second dish is always some type of soup, and I’m again happy to see the departure from the shark’s fins. The double boiled free range chicken with ginseng soup packs a punch. It was overloaded with sweetness from the chicken and dates with a great balance from herbal ingredients. I really enjoyed this. Continuing with another poultry dish was the homemade roasted sesame pei pa duck that I thought went very well with some Merlot or Cabernet Sauvignon. The red wine compliments the duck rather well. Though I’ve had better pei pa duck, this version could hold its own. Steamed Sabah sea garoupa with tong kwai soya sauce came next, and this was easily my favorite dish of the night. The fish was steamed just right, preserving the freshness and sweetness from the seafood with the light superior soya sauce and tong kwai subtly giving the dish a little bit of character. I also love the way the way our server expertly carved out 10 different pieces of the fish for everyone. It was delightful. 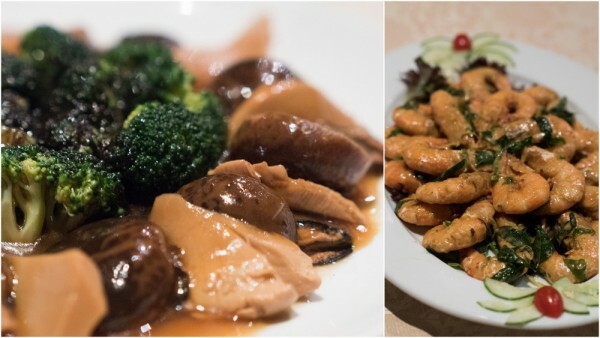 Braised seasonal vegetable with dried oyster and duo mushrooms is another pretty common dish in Chinese set menu, and this version is certainly up to the standard. I particularly enjoyed those thick and juicy “abalone mushroom”. For those who loves shellfish, there’s wok fried prawns with butter sauce. This version is the wetter and non crispy type that is a little messier to consume, but as a bonus it is also a little more flavorful with the butter sauce seeping into the seafood. I also find that the prawns were very fresh as well. 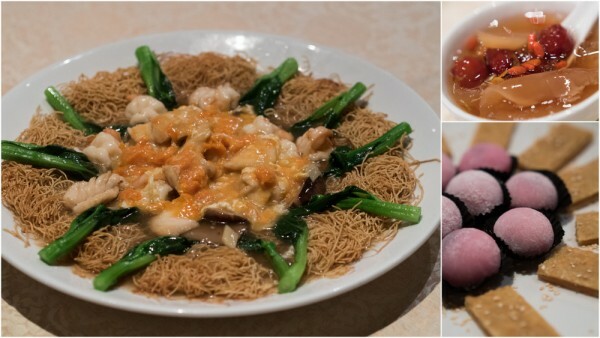 The stomach stuffer in our session was the braised crispy noodles with seafood and crab roe, a pretty luxurious dish that you could have as a whole meal in itself. The seafood, and especially those crab roe were super sinful and delicious, it was too bad that I was rather full by this time. Like any other CNY set menu, a sweet ending was provided. For this purpose we were served with chilled dried lime and sea cococnut with aloe vera in longan soup (what a long name) and chilled mochi & Shanghai lotus pancake. I thought the longan soup was perhaps a little bit too sweet, but the lotus pancake, being one of my all time favorite Chinese desserts, was quite awesome. The mochi was not something I remember though. Overall I thought the experience at Ti Chen was pretty positive. Food was right up there with the other big boys and Saujana certainly provides a superior location in terms of ambiance and hassle free parking. The sets are priced for 10 pax, but you can also order them for minimum of 5 pax. 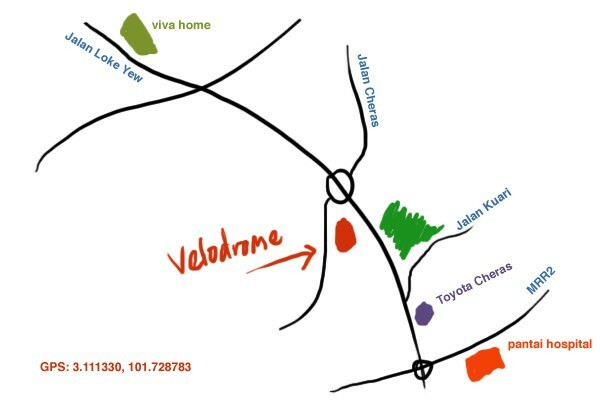 To be perfectly honest, I didn’t really know that we have a Velodrome in KL and thought that national cyclists must practice somewhere outside the country. Even more surprising to me was that our velodrome is actually more famous for the various food stalls by the side of the structure than the sports facility itself. Of the many stalls at Dataran Velodrom, Nasi Ayam A. Hassan situated by right corner at the end is by far the busiest, and happened to be the one we went to a couple weeks ago for some of their famous fried chicken and other dishes for lunch. While there are some seating areas under the roof, most people choose to dine under a sort of make shift canopy at the back of the stall. It’s usually pretty packed over lunch time. You may have recalled that I wrote about A. Hassan at Awan Besar rest stop earlier, this branch at Velodrom is where they started out. 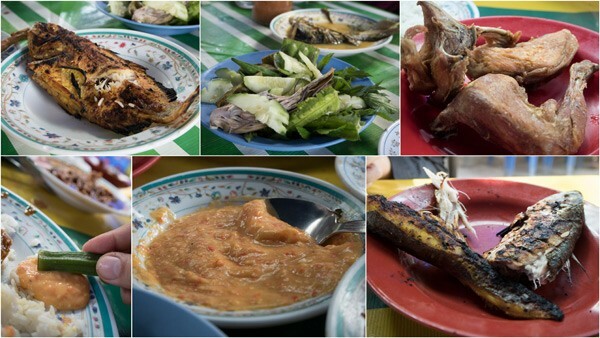 We ordered some ikan bakar (grilled fish), ikan patin (silver catfish), plenty of ulam (raw vegetable), ayam kampung goreng (free range kampong chicken), and even gulai daging (beef). While they provide various types of sambal and condiments, my favorite is the tempoyak (fermented durian sambal). It is a bit of an acquired taste, but once you learn to enjoy them, you’ll be hooked. The pungent yet irresistible aroma is something only a tempoyak connoisseur could enjoy. The most unique thing here though is actually their signature jus ciku (sapodilla fruit), it tastes like, well, ciku juice. I haven’t even heard of this drinks, let alone having tried it anywhere else. If you even remotely like ciku, you’ll really enjoy this drinks. It’s sweet and has a slightly coarse texture to it. Like many tropical fruits, it is actually originated from Central America. 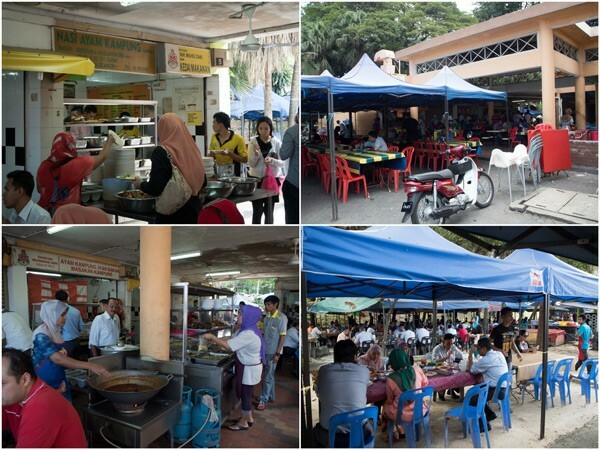 If you’re up for some wholesome Malay fair, do check out the hawker stalls at Velodrom. 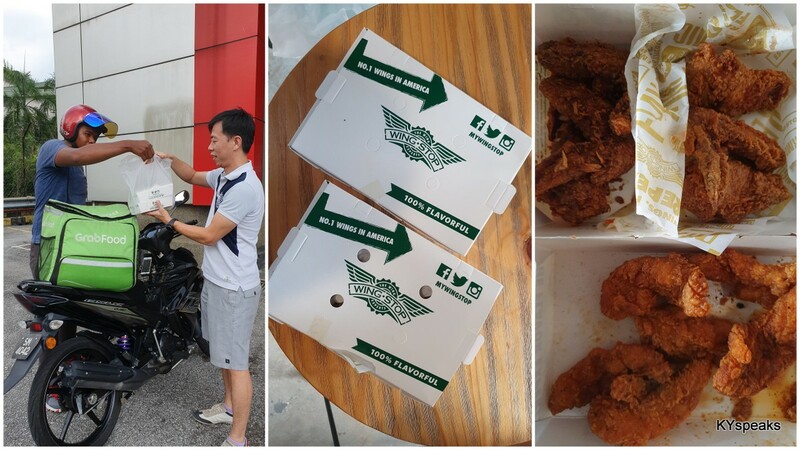 We spent about closer to RM 30 per pax for this, but it was oh so worth it! Some months back my desk was moved back to the main office at KLCC, which translate to more opportunity in checking out the recently revamped Avenue K that is placing more emphasis to the food seeking crowd. 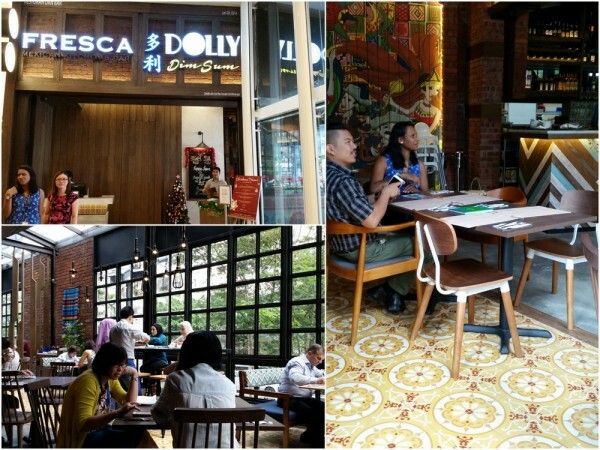 One of the restaurants that always seem to have a long queue during lunch time is Fresca on the ground floor, so we decided to check it out. The premise that houses Fresca Mexican Cuisine also has another section occupied by Dolly dimsum, I thought that’s a bit of a strange arrangement, but it seems to be working well for the restaurant. Ambiance is great with tall and wide windows, and the segment of glass roof also add in to provide great lighting condition for the restaurant. I really like it. For five of us, we started out with some tortilla chips with guagomole (RM 20), those fattening avacado sauce and freshly fried tortilla proved to be a good appetizer, though beer would really be great in this instance. What’s Mexican cuisine without some tapas? We had Jalapeno Poppers (RM 17), Hongos Rellenos (RM 20, portobello mushroom with eggplant), and Camarones (RM23, sauteed prawn tacos). 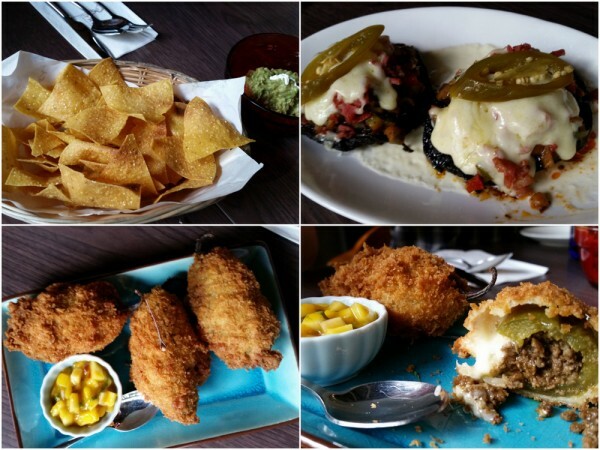 While they aren’t exactly “economical” in pricing, these were very good side dishes, I particularly love the jalapeno poppers with the aroma of the Mexican green pepper and the juiciness of minced beef with those crispy shell. It was great. 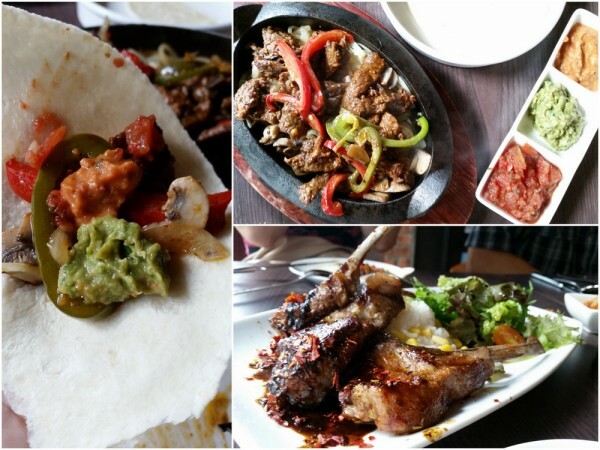 Like most Mexican restaurants, there are a few usual suspects when it comes to main dishes. There’s enchaladas, burritos, fajitas, quesadillas, and a few other typical items in the menu. 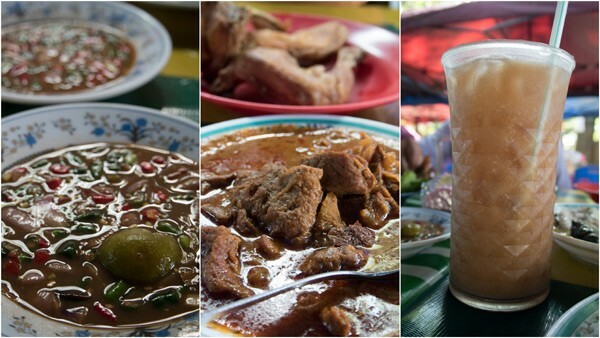 Many of these dishes come with options of chicken or beef as well. 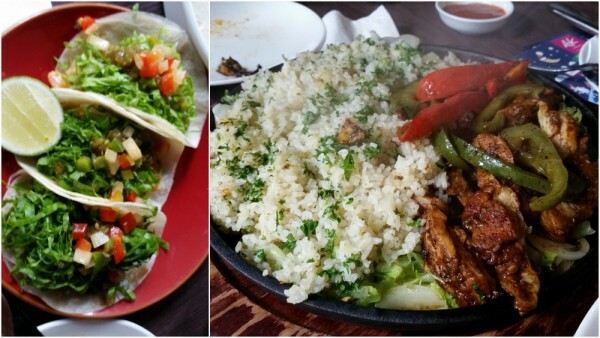 We tried Beef Fenderloin Fajitas (RM 47) that came in sizzling hot plate, the meat was tender and juicy, with condiments that did not disappoint. However, do order some extra pita bread if you’re sharing this dish though. Cordero a la Tamarindo, or rack of lamb (RM 63) is the highest priced item on their menu, but also one that satisfied our collective palates. The lamb was succulent and the marinade spot on. For those seeking something slightly closer to our Asian tastes, Pollo a la Parilla (RM 34, grilled chicken) would not be a bad choice. There’s plenty of rice and the rather tasty poultry that’s marinated with their house special marinate. Food at Fresca did not disappoint at all, though pricing is a little on the high side, but considering the ambiance, location, and quality of food you get, it is not a bad place to visit at all. By the way, don’t waste your time with their churros (RM 15), it was a disappointment. How time flies, while many of us were still contemplating about 2015 new year resolution, the calendar indicates that it is already past mid of January, so I guess it’s time to forget about what you promised yourself one the last day of 2014 and start getting ready for Chinese New Year. One of the things we worry about when it comes to CNY is the big “sau kong”/reunion/”hoi kong” dinner. Where to have the dinner? Is it going to be awesome? Expensive? Good? etc etc. I’m quite happy to report that the first of such dinner I sampled this year turned out to be a gem. I’ve been to Grand Imperial BSC before for a few wedding dinners and generally were quite impressed with their food. 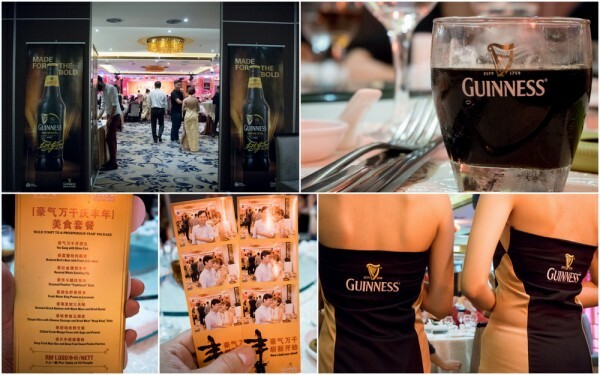 So when Guinness invited me to sample their “Guinness Chinese New Year Banquet Menu” that’s available at BSC, I was quite happy to oblige. Making the trip even more worthwhile is the fact that Haze was the performer of the night, showcasing her Chinese calligraphy skills on the stage. 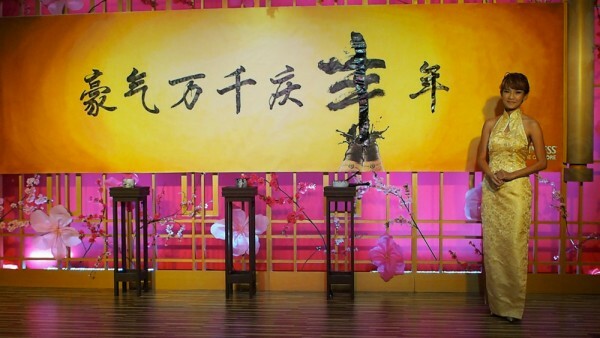 If you want to make your event/annual dinner/etc more interesting, consider hiring a speed painter/calligrapher like her, not only the performance is interesting, you also have a piece of artwork to bring back to the office. You can contact Haze via artmisfits.com, other than speed painting, they also provide wall murals and other art related services. The menu is available from January 13th until March 5th, 2015. As every CNY dinner goes, we started off with yee sang (which is invented right here in Malaysia). I really liked the interpretation of yee sang here with the usage of fresh vegetables and fruits as well as deep fried silver fish to create a crunchy and fresh feeling starter. the minimal plum sauce used also ensured that the dish did not turned out to be overly sweet. It was a good starter. 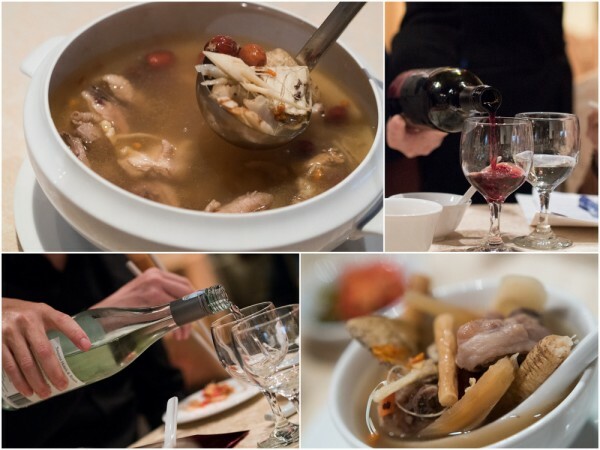 The braised birds nest with crab meat, to me, was one of the highlights of the night. 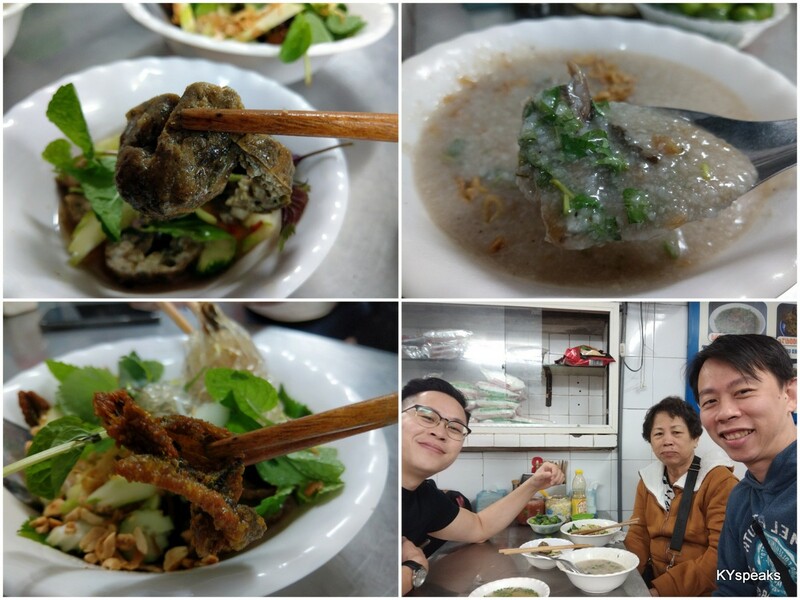 The soup was infused with bits of black truffle to give it that distinct aroma, birds nest gave it the character and texture of sharks fin without the environmental impact, and fresh crab meat provided extra sweetness. I loved it! Suckling pig was roasted to perfection, and I think we finished it in less than the time you’d take to boil a bowl of instant noodle. The huge pomphret was abit of a concern to me as most restaurants tend to over steamed a fish this size, but fortunately the chefs at Grand Imperial seem to know exactly what they’re doing. 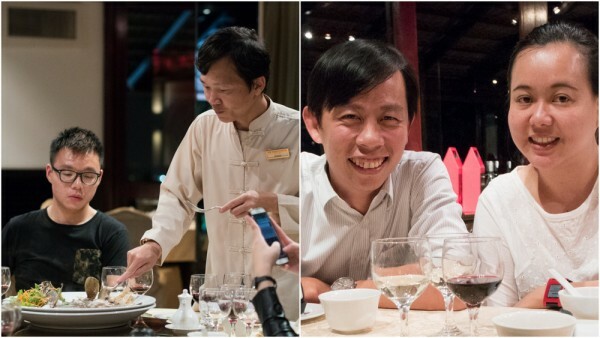 It was prepared expertly with top grade soya sauce and we really enjoyed the seafood. Fresh king prawn was a pretty good dish too if not a bit messy to consume. The head of the prawn had all the right juices that’ll clog your artery, but that’s the way we love it. Braised abalone slices with black moss and dried oyster is another well prepared traditional dish that I always enjoy having, though sometimes I wish there’s a chef somewhere who’d be bold enough to replace those dried oysters with fresh ones, or even with scallops. 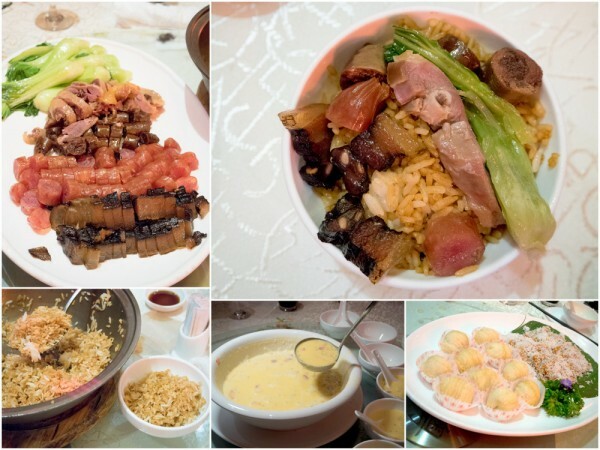 Stomach filler in this CNY menu was the clay pot rice with Chinese sausage and dried meat “Hong Kong” style. The rice was alright, but those dried meat were great! 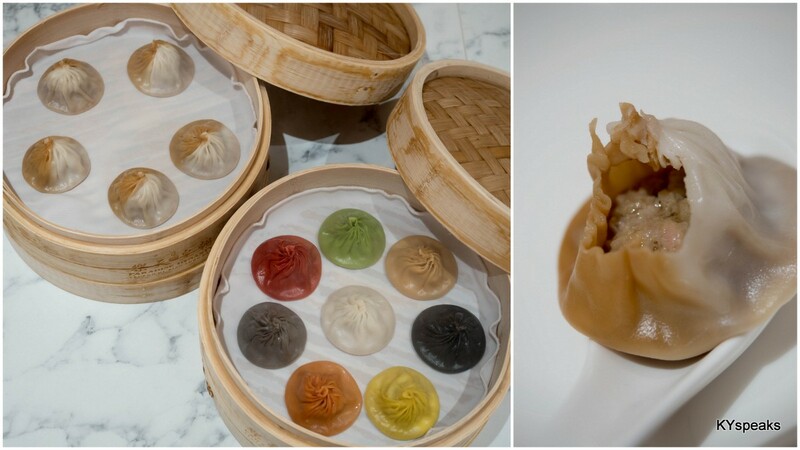 I especially love the darker “lap cheong” that’s made from duck liver. If you haven’t had those, try it! It’s literally like the foie gras of wax meat. Desserts were chilled mango puree with sago & pomelo as well as fried nian gao and deep fried sweet potato balls. I love the mango puree as well as fried nian gao that was coated with a layer of dried coconut meat, the potato balls pastries though, would be great for afternoon tea time snack instead of dessert. Overall, it was a pretty awesome dinner, we had plenty of Guinness to go along with those awesome food. 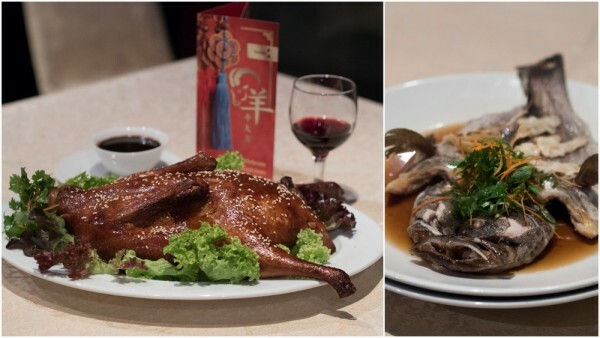 There are also other CNY menu available at various Grand Imperial branches, so be sure to check them out.